A classic skater dress is a perfect style to carry you from contemporary day-wear to chic evening-wear. Our Custom Skater Dress is a favorite at Contrado, thanks to its complementary cut and universally wearable shape. Accentuating the waist while flaring out at the hips, this essential dress is a much-loved style thanks to its ultra-flattering cut. Design your own skater dress online and select from 2 of our beautiful fabrics to make the dress of your dreams. Handmade and made to order in our studio. Make your own dress with Contrado! Personal style is key to standing out from the crowd and making a statement. Our Custom Skater Dress is the perfect way to embrace your inner fashionista. The cut, style, and fabric make this dress a truly special piece, which is different from anything you might find on the high street. We make everything to order to ensure you receive a beautiful and one of a kind designer dress, which you will love. Whether you need petite or plus size dresses or anything in between, this exclusive skater is perfect for you. Soft and stretchy, this jersey is a lovely dressmaking fabric. It has a pique knit, which creates a chain-like pattern. The printable fabric is breathable, soft and comfortable and will give your custom dress a more casual feel. Prints will show accurately and vividly and won't fade after wear. This velour fabric is wonderfully stretchy and beautifully luxurious. It is light and flexible with a unique, shimmery surface, characterized by its elegance and feminine drape. Crush Velour fabric is a great choice for evening wear dresses. The white base tone will showcase color and detail perfectly. Designed and handmade at Contrado, this unique skater dress is available in large and small runs with no minimum order an is available with fast delivery. 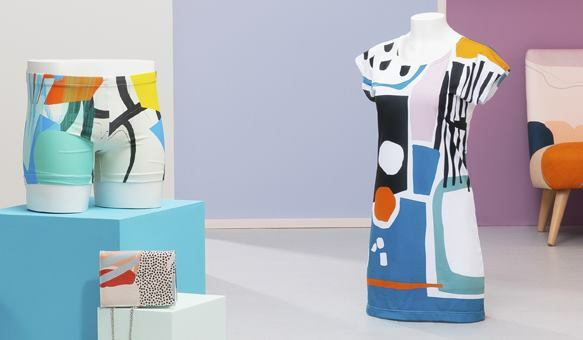 Gorgeous full-color print will bring your dress to life and make you feel incredible. 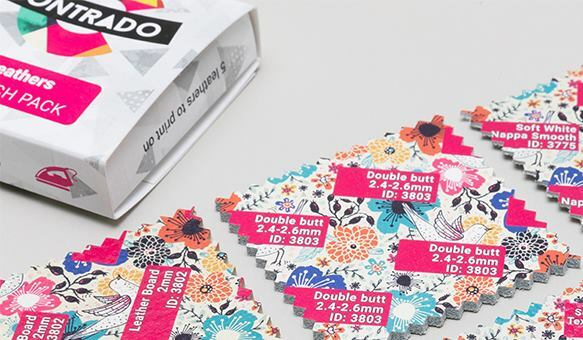 If you want to really sell your designs, then look no further than our printed fabric labels. Add your brand name and info for a really professional touch. 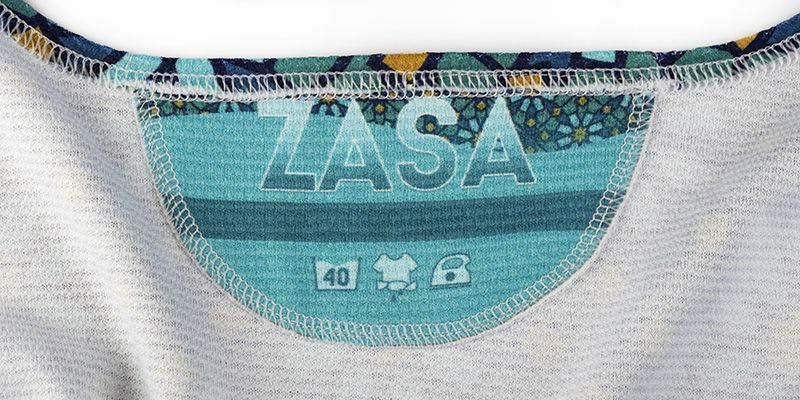 Each fabric label is as unique as the dress it’s made for, so you can personalize it with your customer’s name, or even a personal message. 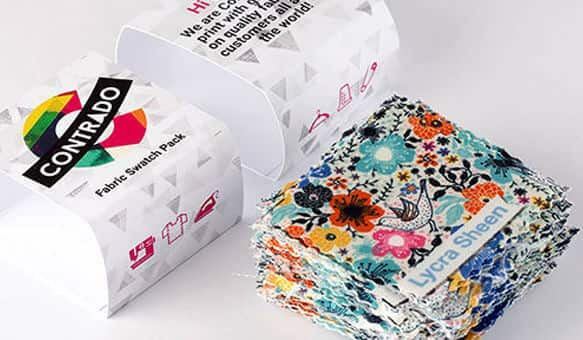 Get recognized, and build your fashion brand with our fabric labels. Our all-over printed skater dress is the perfect style for accentuating and flattering your figure. 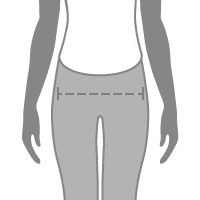 The classic A-line cut hugs the waist and kicks out at the hips, making it ideal for most sizes and shapes. When it comes to styling your Custom Skater Dress, why not add a pair of our personalized leggings in a matching or even contrasting print? This is the perfect look when you want to create a more casual and fun outfit. To add a touch of cute, tomboy style, throw our Custom Bomber Jacket over the top and roll up the sleeves to show some attitude. Loved my art on dress. Absolutely wonderful. Very fun and flirty dress, it added that I was able to design it my self to make it even more stylish. What parts of this personalized skater dress can I design? Our Custom Skater Dress is made from 2 parts - the front and back. You can upload your design; a photo, a montage, a print, and illustration etc, onto the entire front and back panel of this designer dress. Our technician team will then print it and cut and sew the dress by hand. You can also design an internal label, which is perfect to add an extra element of personalization. Which is the best fabric option? We have selected 2 of our custom fabrics to make this exclusive dress. Choose from Chain Jersey fabric or Crush Velour. The choice is really yours when it comes to which material to use, as they both have their own unique qualities, which lends themselves perfectly to the dress. Crush Velour gives a sexier and more textured finish, while the Chain Jersey is very stretchy with a characteristic "chain" effect from the pique knit. How long will it take for my dress to be made? You might think that a handmade, designer dress would take days or even weeks to complete. Not so at Contrado! Our specialist team of designers, printers, and sewers work together to ensure all orders are printed and handmade quickly, carefully and efficiently. Your dress takes between 2-3 days to complete and is available with next day delivery. Explore unique skater dress designs in our curated marketplace, created by independent artists and designers. 'Too Hot To Handle' Skater Dress. Skater Dress in the PINK GRAFFITI CANDY MARBLE style! Skater Dress with Colourful Artwork. This Skater Dress is designed to have a tight fit around the bust, flaring out to a loose flowing fit around the hips. 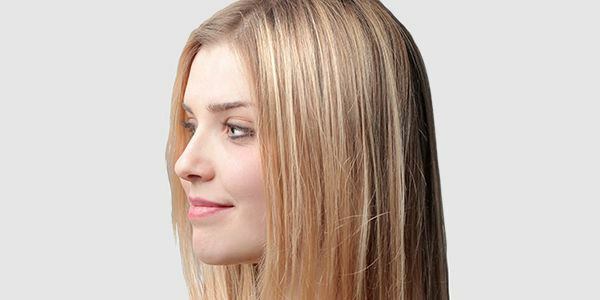 Our model Saskia is 5'8" with an 35in bust, 28in waist and wears a size Medium.